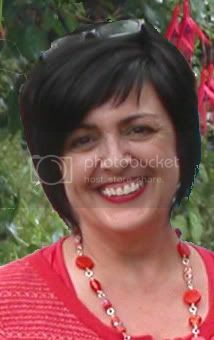 Dolly Dilettante: I am a blog dummy! Eeks! I am a blog dummy, really. I am into day 3 of learning the hard way how to post because after one marathon all-nighter and an hour or three or five later Dolly Dilettante still baffles me. Oh Dear, What Can The Matter Be? I am hopelessly old fashioned, like my little friend in the picture. (Isn't she sweet with her little hair bob and dolly?) Dear friends, please leave me some helpful comments and hints. I love old patterns. 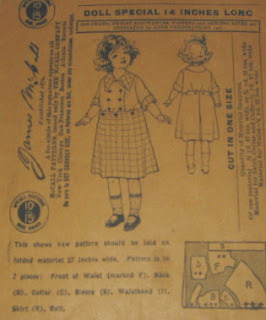 Stay tuned for my new doll from a vintage 1947 pattern.